Wondering How to Self Publish? The Pressbooks Guide to Self Publishing Can Help! 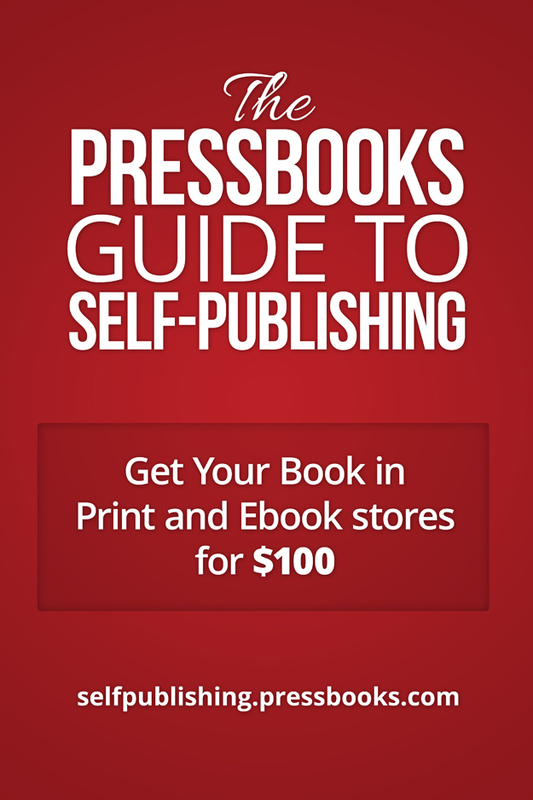 We recently updated our free downloadable ebook, The Pressbooks Guide to Self Publishing. The book explains how to take control of your publishing destiny, without spending thousands of dollars on the parts of publishing that you can easily do yourself. In the 2nd edition, you’ll find even more advice on how to write, format and publish your book in the major ebookstores and print-on-demand outlets. Here are some highlights of what’s included: an updated resource list, improved guidance on book covers and more. The latest version also includes a special discount code that you can apply to books produced using Pressbooks. 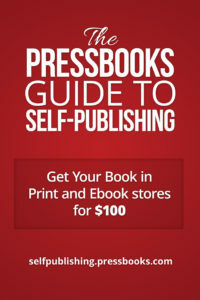 Print copies of The Pressbooks Guide to Self Publishing will be in stores soon. Digital versions are available free for download at selfpublishing.pressbooks.com.